When visiting Wakayama and the mountainous Kii Peninsula, time constraints and logistics often leave visitors with the difficult decision of choosing between the mountaintop temple town Koyasan or the pilgrimage routes and sacred sites of Kumano. With a daily bus link now operating between Wakayama's top spots, you don't have to miss out on either. Board the Nankai Airport Express or Rapi:t Airport Express (seat reservations required) for Tengachaya, then take the Nankai Koya Line direct to Koyasan. The whole journey takes around 90 minutes. With a daily bus service direct from Kansai International Airport in the peak summer and autumn seasons, Koyasan is more accessible than ever before. Buses leave the airport in the late morning and drop off in Koyasan in the early afternoon. The journey takes just two hours and tickets can be purchased online. If your flight doesn't arrive until the afternoon, hop on a bus to Wakayama City and catch a train from there. Alternatively, you can take a train into Osaka and connect to a Gokurakubashi/Koyasan-bound bus from Namba Station. For handy travel tips and more information on getting to Koyasan, see our detailed Koyasan itinerary. The direct bus service from the airport makes two stops in Koyasan. The first is at Dai-mon Gate, marking the entrance to the mountaintop temple complex, and the second is at Okuno-in, the most enchanting of all the temples. While it is possible to alight at Dai-mon and work your way through the temple town, we recommend heading straight for Okuno-in. The path that leads through the forest-like grounds is spectacular. It passes the moss-covered tombstones of some of Japan's most famous samurai and historical figures, and is lined with beautifully-curved stone lanterns. One of the highlights of a visit to Koyasan is a temple stay. Of the 117 temples in the area, almost half of them provide lodgings. Each temple has its own unique character and charm, but all offer a warm welcome and meticulously prepared Buddhist cuisine. 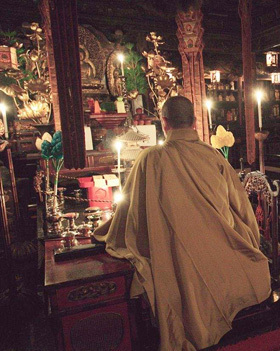 Many also allow guests to take part in meditation sessions, morning prayer, and other rituals. To make the most of your temple-stay experience, we suggest checking in as early as possible. 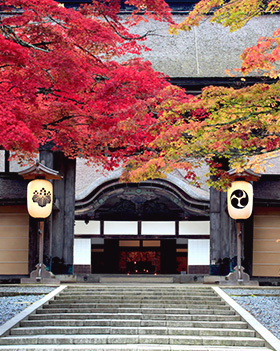 To find the best temple for you, check with the Koyasan Shukubo Association. If you have some downtime before dinner or don't feel like checking in to your accommodation right away, there are plenty more sights to explore. Kongobu-ji, with a breathtakingly beautiful rock garden and a collection of exotic screen paintings, is an excellent choice. Pilgrimage routes run through Wakayama connecting Koyasan and the sacred sites of Kumano, but now there is also a bus service reducing travel time from several days to just a few hours. Buses leave from Koyasan Station each morning, with an afternoon service provided on weekends. The journey to Kumano takes a little under five hours and includes several short stops. It is necessary to change buses twice, but your ticket is valid for the entire journey. While tickets can be purchased on the bus, it is advisable to book them online. Timetable and other detailed information is available here. The scenic journey through the Kii mountains to Kumano takes in rustic hot spring villages and dramatic mountainscapes, before terminating outside Kumano Hongu Taisha Grand Shrine. You can choose to stay and look around the shrine, or take a short 20-minute bus ride to Yunomine Onsen and jump into a relaxing hot spring bath. For more information on the Kumano area and hot spring hamlets such as Yunomine Onsen, see our detailed Kumano itinerary. After exploring the Yunomine hot spring hamlet, check into one of the local ryokan. 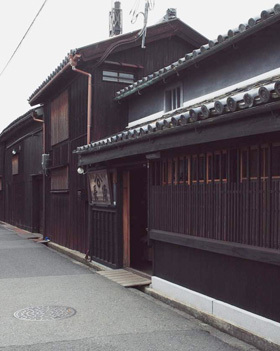 Many of these traditional Japanese inns are family run and some date back centuries. Azumaya, just across from the bus stop in Yunomine, is one of the top ryokan in the area. It dates back to the Edo period (1603-1868). No trip to the Kumano region is complete without a walk along the famed Kumano Kodo. A section of one of these ancient pilgrimage routes, the Dainichi-goe route, runs from Yunomine to the grand shrine in Hongu. Pick the trail up from Yunomine-oji Shrine, behind the small Tsuboyu bathhouse. Although only 3.5km long, it can take up to 2 hours with short breaks along the way. The Dainichi-goe trail leads into the grounds of the Kumano Hongu Taisha Grand Shrine, one of the three revered Kumano Sanzan shrines. Don't miss the main shrine building. It is an architectural masterpiece that epitomizes Japanese shrine architecture. A short walk from the shrine is a traditional paper-making studio. Even today, the master craftsman makes Japanese washi paper by hand the same way it's been made for centuries. For a small fee you can learn about the paper-making process and try your hand at the art. 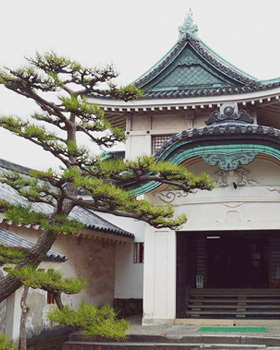 For an afternoon exploring more of the Hongu area, visit the Kumano Hongu Heritage Center. The exhibition space includes a tourist information counter where you can rent battery-powered bicycles which can be dropped off at any of four locations (including Azumaya in Yunomine). After visiting Hongu, make your next stop Shingu, home to Kumano Hayatama Taisha Grand Shrine. Buses bound for Shingu can be picked up from Yunomine and the other nearby hot spring hamlets as well as from the stop in front of Kumano Hongu Taisha Grand Shrine. Services run most frequently in the morning. Most buses bound for Shingu stop at Hitari, where traditional, gondola-style boats ferry passengers down the meandering Kumano River to Hayatama Taisha Grand Shrine. A thrilling experience and an exciting way to approach the shrine, tours operate twice daily at 11 a.m. and 2:30 p.m., and last 90 minutes. While Kumano Hayatama Grand Shrine is definitely worth a visit, even more spectacular is Kamikura-jinja, a small shrine perched precariously upon a cliff face, seemingly stopping a giant boulder from rolling off the side and down into the city. The climb up the steep, uneven stone steps is a thrill in itself. You may also be interested to know that Kamikura-jinja was the original site of Hayatama Taisha Grand Shrine. Train lines running west connect Shingu to Wakayama City and on to Osaka, and those running east pass through Mie Prefecture and on to Nagoya. As Wakayama's southern transport hub, Shingu is an ideal place to end your Koyasan-Kumano journey. If you do have more time to spend in the area, consider visiting Nachisan Seiganto-ji Temple or Shirahama. A short bus ride from either Nachi Station or Kii-Katsuura Station, the Nachisan area is home to Japan's longest waterfall and the third of Kumano's revered grand shrines. Next door to the grand shrine is Seiganto-ji Temple with its vibrant red pagoda. Halfway between Shingu and Wakayama City, Shirahama is a family-friendly seaside resort. If the weather is good, you can sun yourself on the white sand of Shirarahama Beach. Alternatively, visit Adventure World, a zoo, safari park, and theme park all rolled into one. The Shirahama area also has plenty of oceanside hot springs.